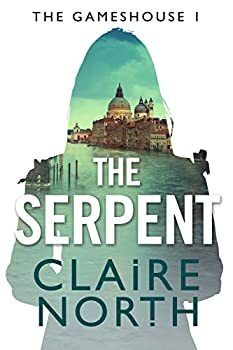 Claire North is a pseudonym of Carnegie Medal-nominated author, Catherine Webb, who also uses the pseudonym Kate Griffin. An acclaimed author of young adult books under her own name, Catherine’s debut, Mirror Dreams, was written when she was only 14 years old, and garnered comparisons with Terry Pratchett and Philip Pullman. She read History at the London School of Economics, and studied at RADA. 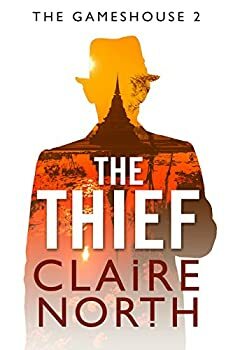 CLICK HERE FOR MORE TITLES BY CLAIRE NORTH. The Gameshouse — (2015) These are novellas. In 17th century Venice exists a mysterious establishment known only as the Gameshouse. There, fortunes are made and fortunes are broken over games of chess, backgammon, and every other game under the sun. But those whom fortune favours may be invited to compete in the higher league…a league where the games played are of politics and empires, of economics and kings. It is a league where Capture the Castle involves real castles, where hide and seek takes place on a scale as big as the British Isles. Not everyone proves worthy of competing in the higher league. But one woman who is about to play may just exceed everyone’s expectations. Though she must always remember: The higher the stakes, the more deadly the rules…. In 17th century Venice, the young daughter of a wealthy merchant is married off to an older aristocrat wastrel who has lost his money by gambling. His habits continue after the marriage, and he is abusive, which makes her respond by becoming cold and aloof. In an attempt to provoke her, he drags her to a gameshouse, where he continues to lose his money on trivial games of chance and skill. But she is intrigued by the exotic setting and the cosmopolitan players. She studies the games and is eventually invited to play. Because she shows great skill, and perhaps because of her unhappy situation, she is invited upstairs to the real Gameshouse which only a few people know about. Here players compete in high-stakes real-life situations. The world is their gameboard and real people are their pieces and cards. 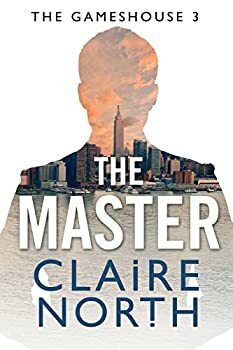 The Master is the third and apparently final entry in Claire North’s wonderful THE GAMESHOUSE series of novellas. These stories are about a mysterious organization called The Gameshouse where elite patrons are invited to play for very high stakes. For example, they might win a prestigious political office, or they might lose the memories of their first love. Once they become involved with the Gameshouse, they belong for life and may be called on to participate in other players’ games. I’m not sure what’s been in the air lately, but it seems I’ve been reading a lot of books this past year dealing with reincarnation/being reborn. 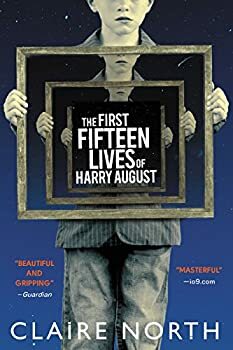 The First Fifteen Lives of Harry August is yet another of those, and while it isn’t my favorite of the ones I’ve read with similar ideas (that would be either Life After Life by Kate Atkinson or The Bone Clocks by David Mitchell), I thoroughly enjoyed Claire North’s novel, though the first half was better than its second half. 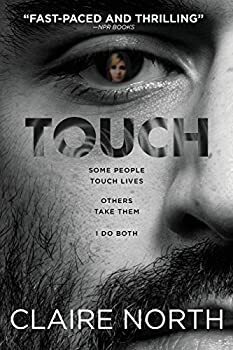 Touch, by Claire North, took me completely by surprise. I’d never heard of Claire North. (Yes, I know. More about that later.) I hadn’t seen much pre-release buzz about the book. I don’t think I’d ever read a book from (Hachette imprint) Redhook before. I frankly thought the blurb sounded a bit too standard-horror-ish, but I picked it up anyway to try a few pages and see if it could draw me in. Hope Arden has an unusual problem: people forget her. It’s not that they don’t see and hear her, but that once she’s out of sight, she’s out of mind. They completely forget her and their interactions with her. This makes it impossible to have friends, colleagues, a career, and even just a job. She survives by stealing what she needs. Hope isn’t happy, but she’s doing the best she can. “I am the Harbringer of Death,” Charlie explains countless times to airport security, friends of friends, nurses, doctors, strangers in bars, passengers on trains. Because before Death, comes Charlie: sometimes as a courtesy and sometimes as a warning, but always before. 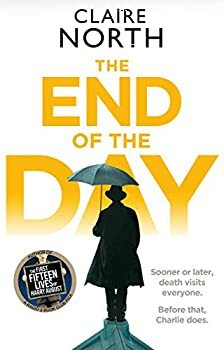 Meeting people from every possible walk of life, Charlie discovers what it is to be human in The End of the Day, a genre-defying tale. 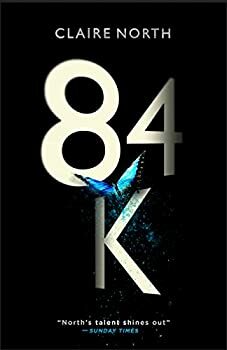 Claire North brings a haunting and all-too-realistic vision of the near-future to life for her most recent novel, 84K (2018), in which an already-existing real world injustice is pushed to its natural limit: every possible crime and infraction are assigned a monetary value, from murder to petty theft and everything in between, and wealthy citizens escape punishment by simply paying the appropriate fine. Those who cannot pay their fine are, at best, interned in working penitentiaries known as “the patty line,” making cosmetics and frozen dinners and shiny baubles that they could never afford, and at worst... well, it doesn’t bear thinking about.